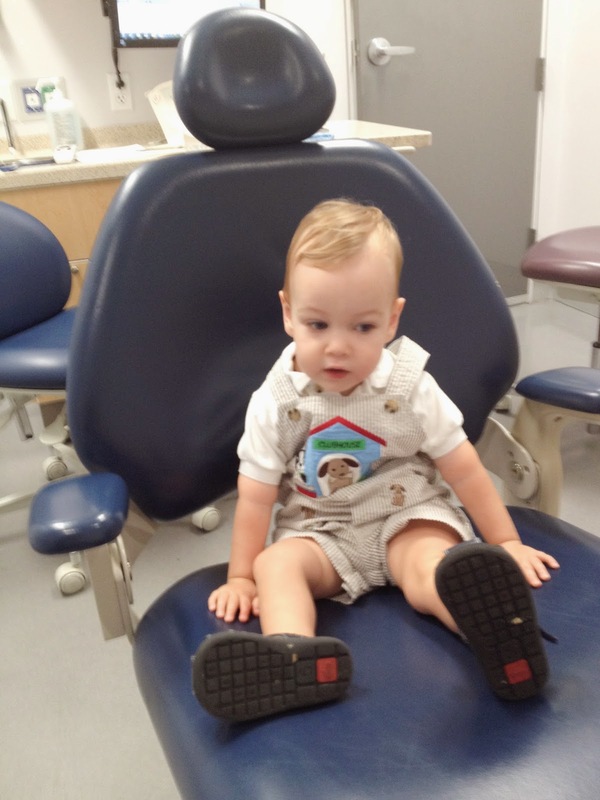 On Wednesday, I took Parker to the dentist for the very first time! 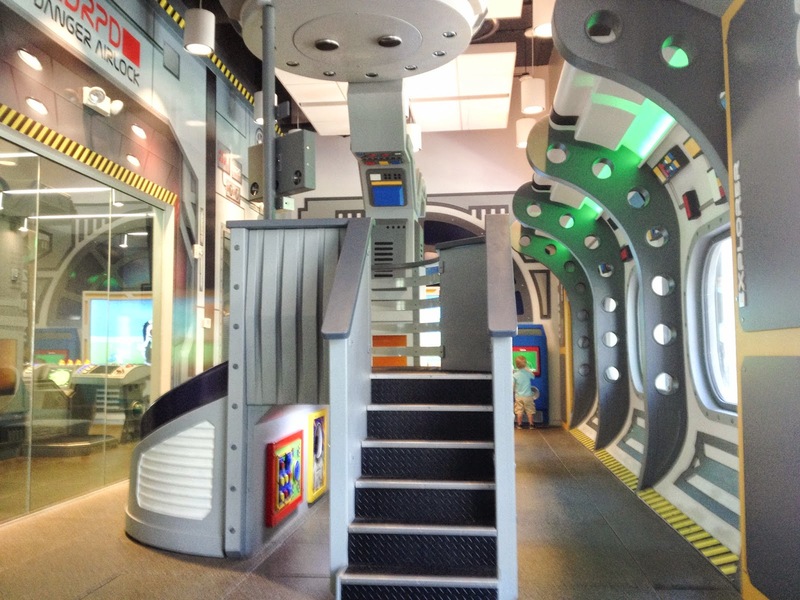 If you are in the Scottsdale/Phoenix area, this is the place for kids to go! 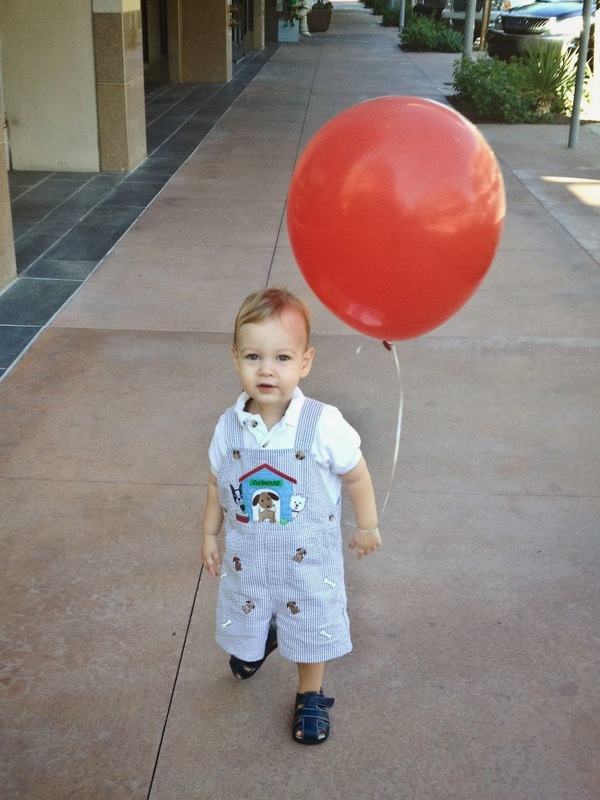 Our pediatrician actually recommended we go starting at one year, but Parker still seemed so young then! For us, waiting until one-and-a-half was perfect. He understands and follows directions so much more now and even has his own sign for brushing his teeth. I was able to explain to him what was going to happen, and felt that he would be able to handle it. 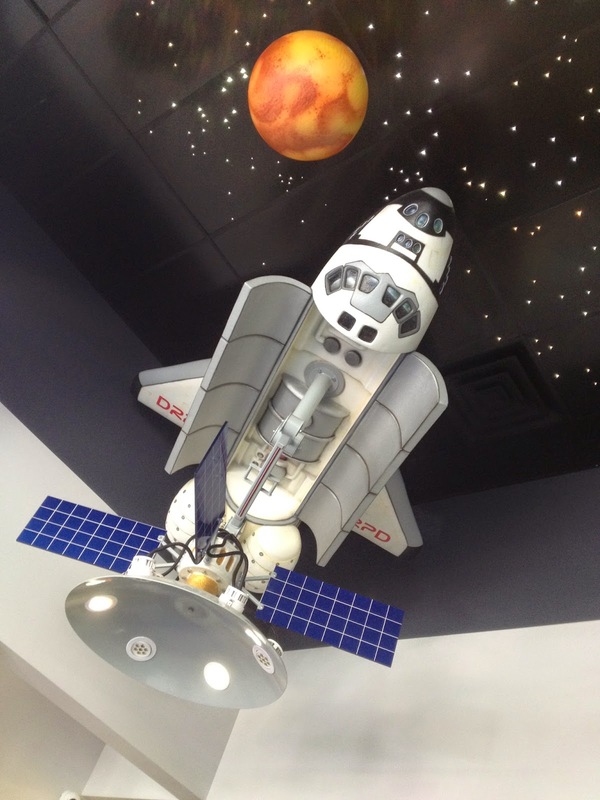 We were completely surprised walking into Desert Ridge Pediatric Dentistry - the entire office was in theme! 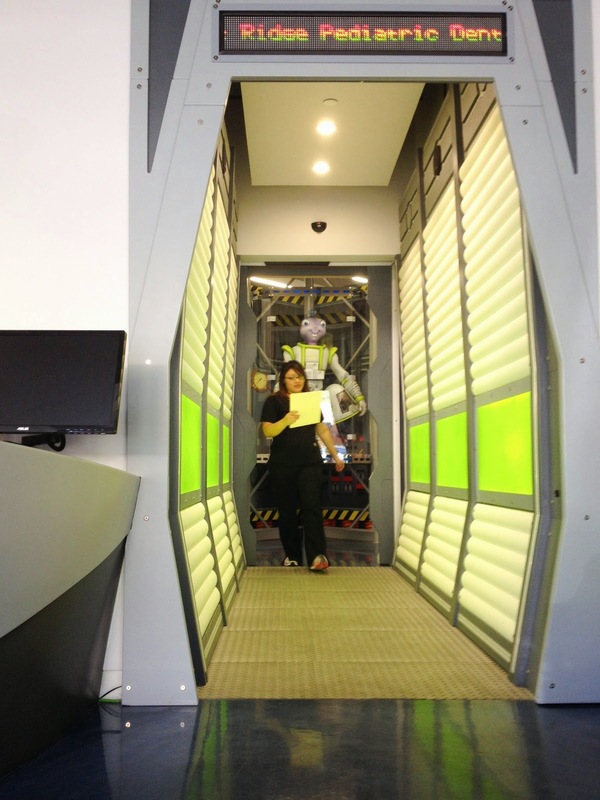 I felt like we were on a space station! Really, down to every last detail! This is where the hygienists walked out to collect patients. Parker made lots of friends, waving at everyone and blowing kisses. He was a hit with the staff! Parker loved the waiting room play area. He giggled every time he went down the slide and would sign "more" over and over. The hygienist took us to our room (again, even the hallways were in theme) and I let Parker try out the big chair! She talked to us about good oral hygiene habits, then Dr. Libby came in! She had Parker lay down in my lap while she looked at his teeth and then brushed them. We sang his current favorite song (The Wheels on the Bus) and he did really well, just a few tears at the end when the dentist started talking to me about his front teeth (they are being affected already by his finger sucking!). 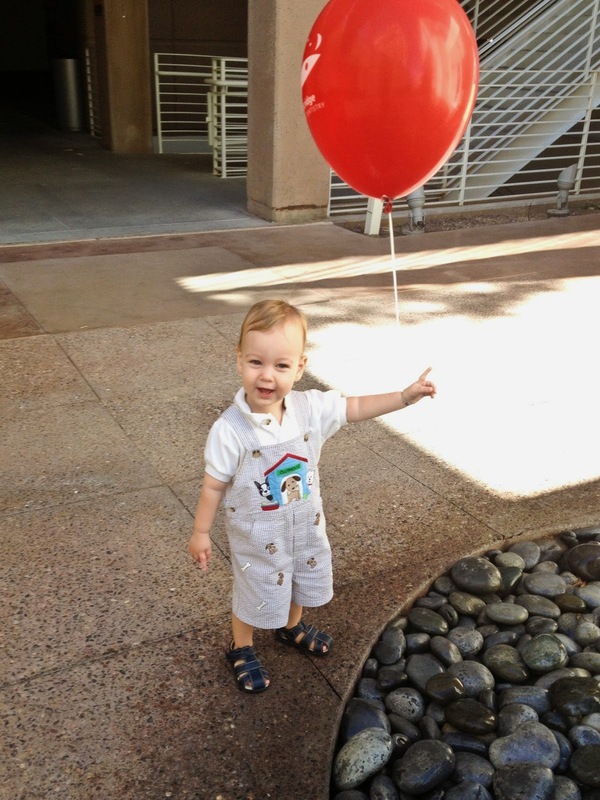 Parker was rewarded with a balloon, ball, bag of dental goodies, and big water cup! 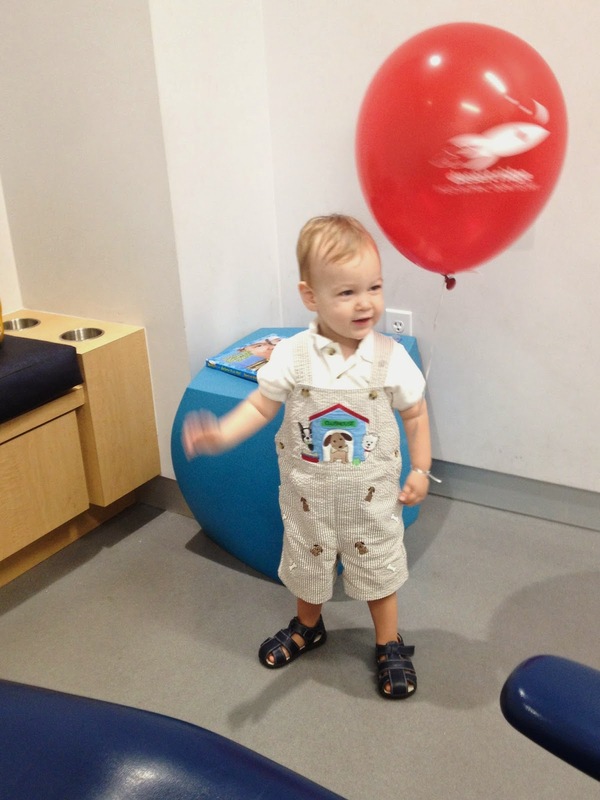 The hygienist put the balloon on his wrist and he thought it was the best thing ever! 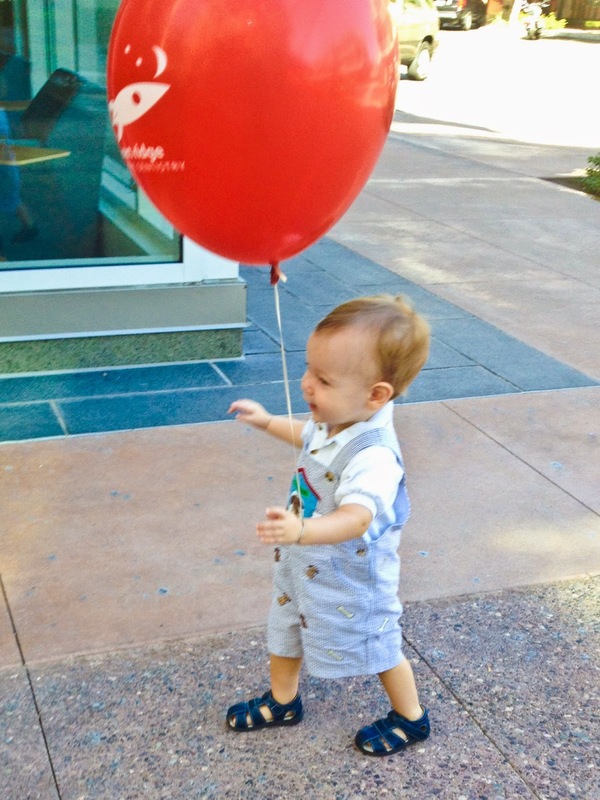 Heading out of the office, little man was all smiles! Thank you so much to Dr. Libby and co for making Parker's first dentist trip such a great experience! Nicely written--This post is equally informative as well as interesting . Thank you for information you been putting on making your site such an interesting If you have time please visit my Dentist Texas page. I also had a couple of old fillings that needed to be replaced. The hygienist with dentist Hermosa Beach was very professional and worked hard to ensure my visit was comfortable. Her chair was also good.